Faerie Without Borders – Guatemala! I’m writing from the madness of what will soon be my ex-condo in Chicago. Crap is strewn everywhere as my son and I close down this condo for a series of adventures. It feels good to clear out and make room for the new. 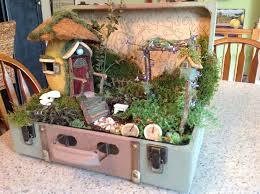 While he is off at school, Missy and I are embarking on massive faerie hunt. Travel, mystical exploration, blogging, faeries, and especially dedication to my perfume course with the Natural Perfumery Institute and launching the Verdant Faerie perfume line. Keep checking for fun stories and beautiful images! Bob is also fascinated by faeries. We’ll ask locals if the Alux faerie we learned of in Mexico is also present in Guatemala. The Alux are mischievous faeries, that when treated well will protect your home and especially crops. 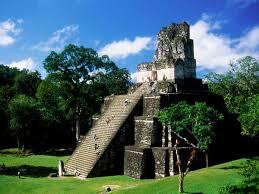 We’ll be visiting markets and Mayan ruins. Eating well and enjoying a few cocktails and laughs. Staying in lovely accommodations and swimming in pools. For those interested I will informally lead meditations and yoga. The group is small, comprised primarily of academic and artistic people of retirement age or slightly younger. Today we explore Takalik Abaj the site of the recently excavated fabulous burial of an important priest, or king or chieftain K’utz Chman who ruled about 700 BC. Hundreds of beads, Jade jewels included a necklace with a green sculpted pendant in the shape of a vulture and a jade mask were included. Did K’utz Chman innovate changes that led to the development from Olmec to Maya? the celebrated naïf painters and a ceremony with a shaman at San Marcos. Boats, tuk-tuks (3 wheeled vehicles w driver and guide $50). Optional: Visit La Azotea Cultural Center with a Coffee farm Tour and an excellent Museum of Maya Musical Instruments. Take home some famous Guatemalan coffee for your pet sitter. Afternoon transfer to the airport to continue to Flores or back home. ALL Hearty Breakfasts and 1 dinner are included. Jose Benitez will take us to safe restaurants for lunch and dinner. Continuing travelers will be transferred to the Guatemala City airport at 3:30pm Your flight departs for Flores at 6:30pm, and arrives Flores at 7:30pm. Breakfast at your hotel and transfer to Copan (6 hours) on the way you will have guided tour at Quirigua, a site with the tallest stelae. What was the purpose of the zoomorphic carvings? Prices in US$ per pax $1600 Single Supplement $300 $400.00 deposit will hold your reservation. Karina at Exito Travel can help you find the best fare if you need help. This could be a rugged trip but you will be able to have tuk-tuks or other vehicles at points that might be considered difficult. We will start out after 9am in the morning. Hepatitis A shots are generally recommended if you are traveling anywhere in the worls. Preventative pills for malaria or soroche might be suggested by your doctor. Long sleeves and long lightweight pants are suggested. 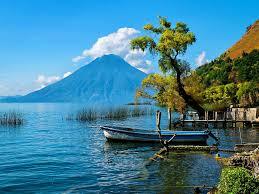 The northwest part of Guatemala is an area known to have a high crime rate. This trip does not go there. Downtown Guatemala City is another place that we do not visit. You will need to fill out an Enrollment form. MexiMayan@neximayan.com or 630 972 9090 for questions.